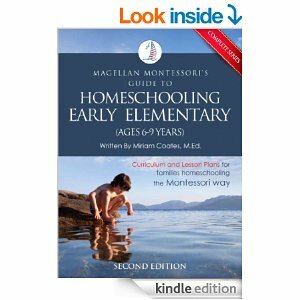 Using the method and materials developed by Maria Montessori for your homeschool. Definitive site for this method of early childhood education. 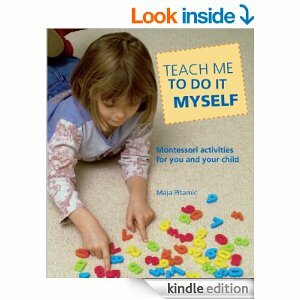 Good section about applying Marie Montessori’s method at home. Can I do Montessori at home with my child? What Montessori ideas can I use for school age children? eText of Maria Montessori’s great book. A quite inspiring work you’ll want to print out and read. There is a vast supply of early childhood materials and activities in traditional approaches. Our site shows you how to use these materials that follow Maria Montessori’s techniques. Read seven of our *online* newsletters here at our site. You’ll find our newsletters are filled with valuable educational web site information, teaching tips, computer software reviews, book reviews, and other resource information of interest to parents and teachers. The Montessori Foundation is a non-profit organization dedicated to the advancement of Montessori education in the United States and abroad. All about setting up your Montessori class on a budget (homemade things), ways to save money, lesson ideas, and support. We focus on the Montessori method for ages 6-18. A variety of topics will be discussed, from the Erdkinder to the Urban Adolescent concept and everything in between. A place for homeschooling parents to exchange both playful & Montessori-inspired ideas, photos, links & more. A group for families of school aged children that homeschool and want to uses materials and aspects of Montessori and Waldorf educational methods. This group will be a place to ask questions and support members as they navigate creating a paradigm of education that fits their families needs. Find dozens of free printables. Learn how to start a Montessori homeschool co-op. Make your own Montessori materials. Here is a place for home schoolers, using Montessori Method in their home education, to share and learn. All home schooling topics/methods are welcome. Making and using Montessori materials and using them with your two year old. By Amy. A directory of resources for parents participating in any way with the Montessori programs. Families interested in forming a Montessori Homeschooling group. See feed below of the largest Montessori homeschool group son the Meetup site. One of the few Montessori curriculum packets for children in the early elementary age group and is poised to become the leading choice for homeschooling families interested in the method. The ebook offers three years of curricula, lesson plans, presentation examples and information on acquiring materials that are integral to the Montessori method. Families will benefit from Coates’ formal education and research of the writing and lectures of Dr. Montessori to create an authentic Montessori learning environment at home. Based on the key Montessori principle that children learn best through active experience, Teach Me to Do It Myself presents simple activities through which children explore and develop their skills. These skill areas include sensory perceptions, body coordination, language, understanding of numbers, and movement. This practical, color-illustrated parenting book is filled with activities and instructions for overseeing children as they carry out a variety of learning activities. Most activities will seem simple to parents, because once mastered, adults perform them automatically. However, toddlers experience a sense of accomplishment and self-worth when they learn to perform them independently.